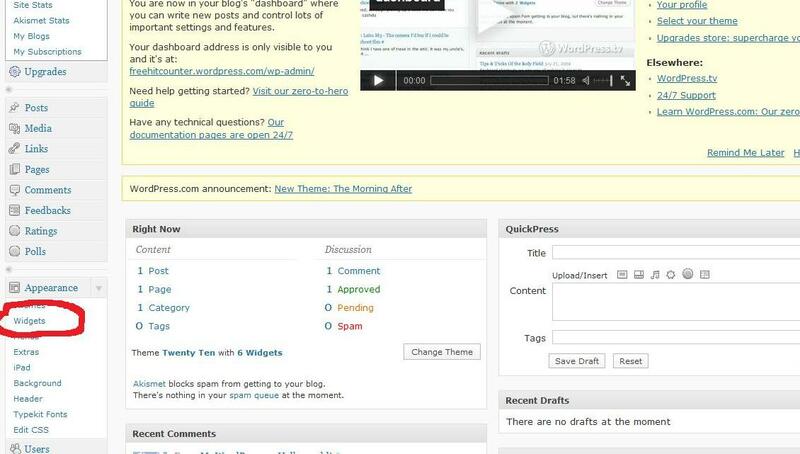 We have lots of hit counters for wordpress below. Our website counters are easy to install on your wordpress blog. They are free to use and will count how many hits your wordpress blog gets. 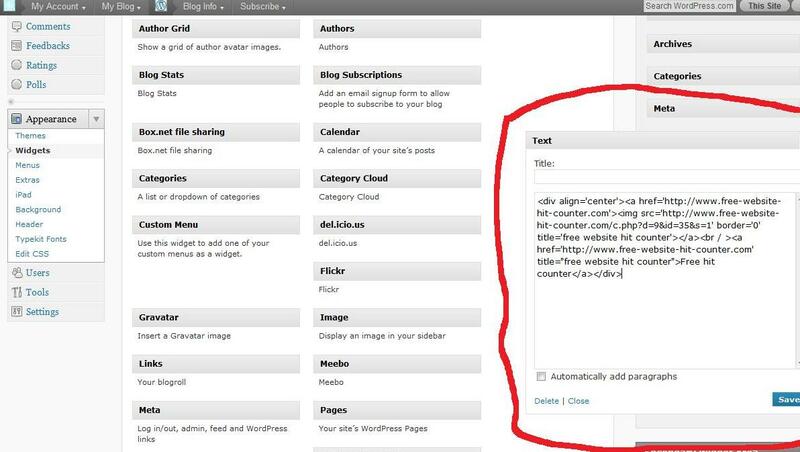 Simply fill in form to get your own wordpress hit counter. Step 1. 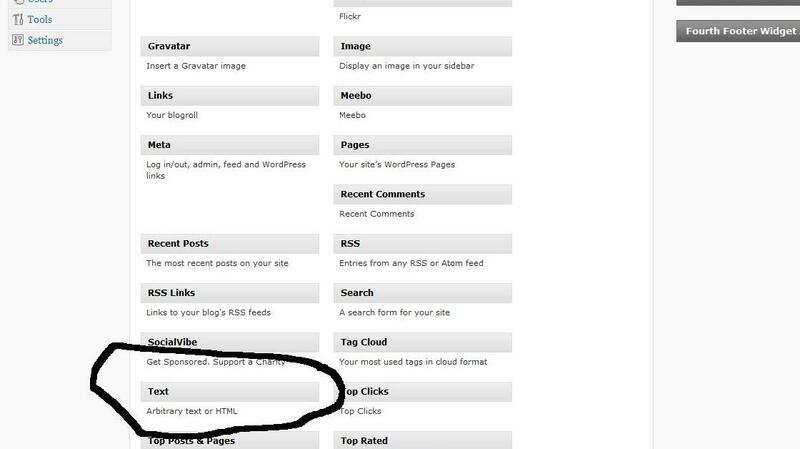 Log into your wordpress blog admin and click appearance as in the photo below. Step 2. 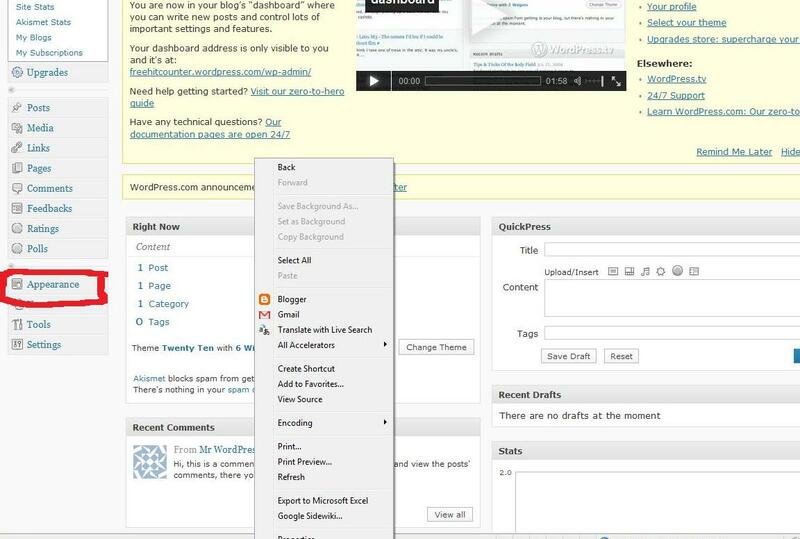 Click on the widgets tab in the appearance drop down box as in the photo below. Step 3. grab the text link and drag it across to the right as in the photo below. Step 2. 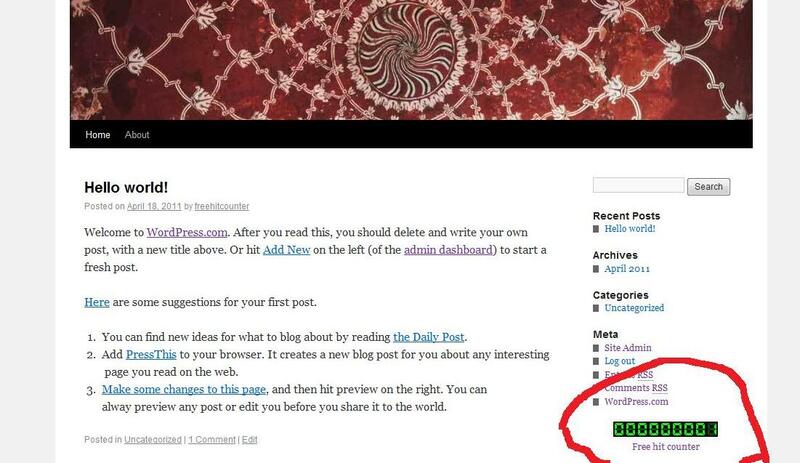 Now view your blog page to see your hitcounter showing and working like the photo below.